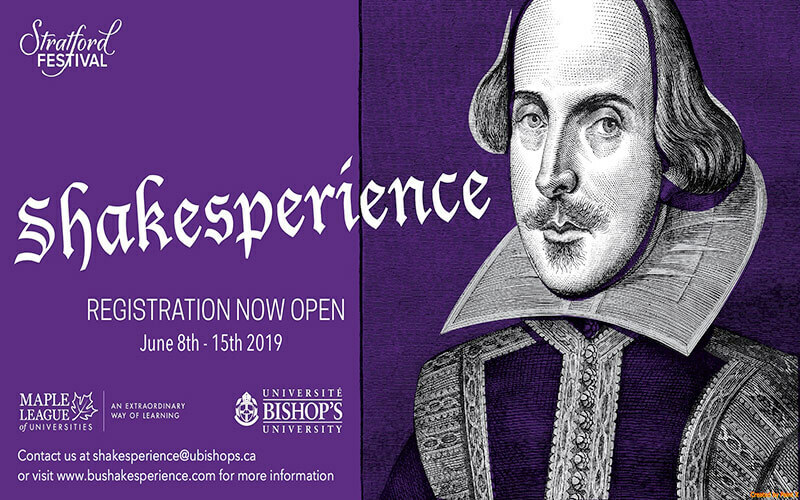 Shakesperience is a one-week, 3-credit course taken during the spring semester in June. During this week, students (as well as students of life), will travel to the renowned Stratford Theatre Festival in Stratford, Ontario to see six plays, participate in workshops and backstage tours, and have discussions with directors, actors, and writers. This event is open to students from the Maple League (Mount Allison, St. Francis Xavier, Acadia, and Bishop’s). * However, it is also open to staff, alumni, and faculty from any of these universities as well! What are the dates for this year’s event? We will be taking a Bell Horizon deluxe 38-person bus to and from Bishop’s and Stratford (about a ten-hour drive). The bus has comfortable chairs, a lounge, a washroom, WiFi, and booths and tables for maximum comfort. Who will be leading us throughout this experience? Dr. Jessica Riddell, Professor in the English Department, Bishop’s University, 3M National Teaching Fellow (www.jessicariddell.com). What plays are included this year? What workshops & tours are included this year? Learn a Song & Dance from Billy Elliot, the Musical. Three Private tours of the Festival Theatre, the Costume Warehouses, and a Set Change and Private Tour. Four post-show chats with actors, directors, and dramaturges! Shakesperience was recently featured in an article by ACCUTE. Follow this link to pay online with a credit card. In both our classroom discussions and during our time in Stratford, we shall focus our discussion on some of the most exciting aspects of Shakespearean drama: the shaping of the private and public self, nation formation, the language of the body and desire, gender politics, and innovations to the English language. The principal objective of this course is to help students gain confidence in reading, understanding, and watching Shakespeare’s plays. Since Shakespeare’s plays are written in a largely unfamiliar idiom and literary form, and because they are the product of specific historical circumstances, the course will give equal emphasis to the development of analytical skills and to acquiring a working knowledge of the social, political, and theatrical aspects of Shakespeare’s plays.